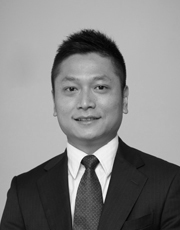 Ken is an Associate based in the Hong Kong office. He is responsible for Hong Kong, Macau and PRC operations. His focus is on façade design and detailing with projects ranging from shop fronts to large-scale projects including hotel, office, residential and retail. With over 15 years’ experience in façade design and a background working with a range of well known consulting engineering and manufacturing companies, Ken’s expertise includes a technical understanding of the complexities involved in designing different types of façade systems, the preparation of shop and fabrication drawings as well as the project management skills required for successful construction monitoring. Ken’s role includes the coordination of clients, architects, contractors and suppliers to advise and develop the most sustainable façade systems based on the architect’s design intent. He works closely with façade contractors to stay within the project schedule and guides them to resolve performance testing and site inspection problems whilst overseeing the project management.